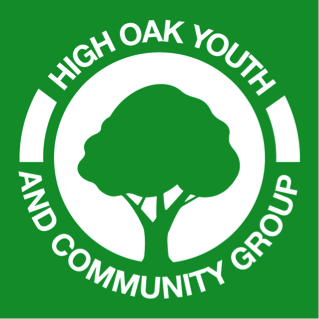 High Oak Youth Community Centre work with a network of partners. We work together to support the local young people and the community, sharing skills and resources to create a greater impact in the community and on an international level. Also, to support the promotion of their services in the organizations. A good social gathering place to meet family & friends to celebrate life’s events. We support ACCN events and supporting the staff during the activities and also work alongside the carers group on a Wednesday. High Oak Volunteers are supporting the pupils with their learning. Our volunteers support them within the class room in a variety of subjects. The volunteers are supporting the youth club with ideas, creativity and sharing their cultures. Breaking down stereotypes and sharing through games and creative activities. The volunteers and staff work together, interacting with the young people who attend, to allow them to understand and be aware of other people and cultures around them. CFED is committed to eliminating discrimination and creating opportunities to build capacity and enterprise within local communities. The volunteers are supporting CFED with social media skills and photoshop skills. Working with young people to bring about positive change in their communities through engagement, activate citizenship, education and social action. Creating innovative and dynamic projects to improve the lives of young people. The volunteers are supporting youth club and alternative education activities. High Oak Youth and Community Center volunteers are working alongside Café Connect to support the local community needs. We are currently working on an 8-week Photoshop and computers training course. The aim of the course is to support beginners to understand how to use the computer and how to use photoshop.